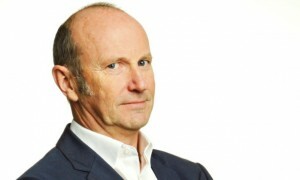 Fred MacAulay is a Scottish, comedian, presenter & event host. Fred MacAulay’s first experience of stand-up comedy came at Bar Point in the “West End” of Paisley. Fred has gone on to be a regular performer at the Edinburgh Fringe and at comedy festivals worldwide. Fred has presented BBC Radio Scotland’s morning show since 1997 and appears on comedy quiz programs like They Think It’s All Over, Just A Minute, QI, I’m Sorry I Haven’t a Clue & Mock the Week. Fred’s on air witticisms and on screen reputation are the product of years of experience on the live circuit, including a stint as the first ever-Scottish compere at the Comedy Store in London. Arriving late to the world of stand-up comedy he has gone on to be a regular at the Edinburgh Fringe (2015 will be his 27th Fringe) and at comedy festivals worldwide. He has successfully featured in and presented many programmes for BBC TV: he hosted the talk show McCoist and MacAulay and presented Life According to Fred, Hoots, Simply Fred and Scots on the Box, as well as the 2014 On The Road magazine programme with Martell Maxwell. Appearances on many Radio 4 comedy panel shows including I’m Sorry I Haven’t a Clue, Just A Minute, The Unbelievable Truth and The News Quiz guarantee an audience for Fred’s Live stand-up tours. On national television he has been a panelist on shows including Mock the Week, QI and Have I Got News For You. In addition he was a guest on The Late Late Show with Craig Ferguson twice on US television and his performance at The Montreal Comedy Festival has been shown coast to coast in North America as well. He lasted 7 out of 11 nights when he sang on Comic Relief Does Fame Academy. Further charity challenges saw him kayak the Caledonian Canal for Sport Relief in temperatures as low as -18 celcius and in 2011 he scaled Mt Kilimanjaro. His West Highland Way-hey walk was broadcast on Hogmanay 2012 on STV.